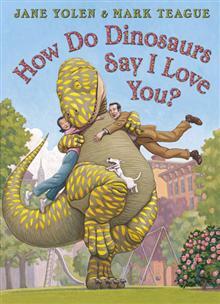 Cuddle up and share this feel-good book from the creators of How Do Dinosaurs Say Good Night? How do dinosaurs say I love you? Little dinosaurs sometimes misbehave or make a mess, but no matter what they do, their mums and dads always love them. 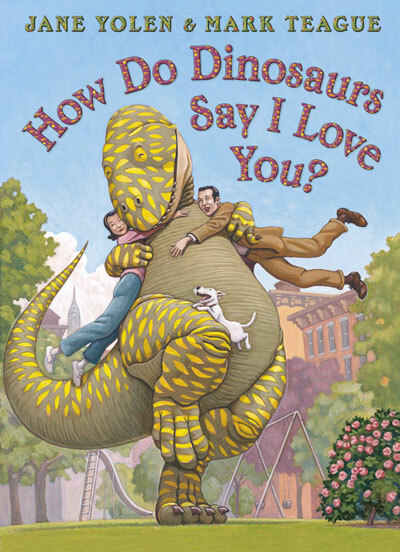 With warmth and irresistible humour, award-winners Jane Yolen and Mark Teague present readers with a familiar range of naughty childhood antics followed by dinosaur-sized kisses, hugs and those three precious words that can never be said too often: I Love You! Jane Yolen has written more than two hundred books for children and adults and is the winner of many prestigious awards in the US, including the Caldecott Medal. Mark Teague's debut picture book, 'The Trouble with the Johnsons', earned him a feature in Publisher's Weekly as one of eleven prominent new authors of 1989. Although he developed his writing and painting talents without formal training, he has collaborated with critically acclaimed authors Audrey Wood, Cynthia Rylant and Jane Yolen. He currently lives in Coxsackie, New York, with his wife, Laura, and their two daughters, Lily and Ava.